Obtaining a Reverse mortgage is increasing in popularity with individuals 62 years of age or older can use to turn the equity in their home into cash. It is very important for an individual to understand a reverse mortgage, their ramifications, and the alternatives. 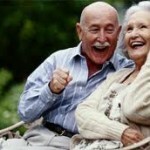 Our site will provide an overview of how to obtain a reverse mortgage. The only reverse mortgage insured by the U.S. Federal Government is called a Home Equity Conversion Mortgage or HECM, and is only available through an FHA approved lender. You can also use a HECM reverse mortgage to purchase a primary residence if you are able to use cash on hand to pay the difference between the HECM reverse mortgage proceeds and the sales price plus closing costs for the property you are purchasing. With a HECM reverse mortgage, you don’t make monthly principal and interest payments, the lender pays you according to the payment plan you select. Like all homeowners, you still are required to pay your real estate taxes, insurance. 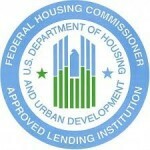 With an FHA HECM you cannot be foreclosed or forced to vacate your house. Call us to go over your options on a reverse mortgage. We have experienced agents ready to answer all your questions. With offices to handle your reverse mortgage in San Diego and Los Angeles and Riverside we can handle your reverse mortgage needs.Thank you for visiting our site about obtaining a Reverse Mortgage.